Is Mexican society inherently racist? The image of a young blonde girl begging on the streets of Guadalajara caused an online uproar last week, raising the often overlooked issue of racism in contemporary Mexican society. 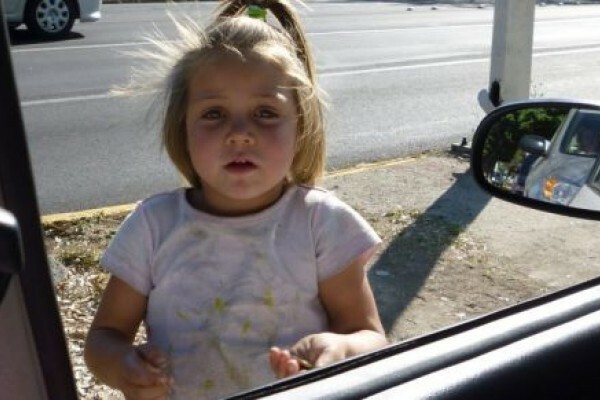 It is all too common to see kids selling chewing gum or begging for change at traffic lights in Guadalajara, but the sight of a blonde girl with green eyes doing so prompted a passerby to post her photograph on Facebook last week. The photo soon went viral across social networks – it was shared over 68,000 times on Facebook alone – prompting a police investigation. The authorities quickly tracked down the five-year-old, placed her in a Guadalajara orphanage and detained her 23-year-old mother for two days. She was only released when the girl’s grandmother – who also has green eyes – came forward with her birth certificate. The case touched a nerve among Mexicans, as it seemed to imply that major social problems such as child poverty, exploitation and kidnapping only require swift action when they affect white people. “Is Mexican society inherently racist?” the online community began to ask. Racism is a seldom addressed topic in Mexico, but it seems the caste system imposed by the Spanish conquistadores some 500 years ago has yet to completely abate, with indigenous communities still among the most marginalized and poverty stricken in the country. In cities such as Guadalajara, billboards and television adverts frequently use white, blonde models to sell products, as if consumers should aspire to a lighter complexion. While some may consider this a morally questionable practice, it would be overly simplistic to simply blame the advertisers. Marketing teams are paid to know the preferences of their audience and if they believe that using blonde men and women in their promotional campaigns will win them more customers in Mexico then there must be some truth in it. But why would Mexicans prefer or relate more to people who barely resemble them? It may be that they are conditioned to think this way from birth. “Es guerito?” (Is he blonde/light-skinned?) many relatives ask parents when children are born, often expressing slight disappointment if they are moreno (darker skinned). Children are quick to pick up on such attitudes. Late last year the government’s National Council to Prevent Discrimination (Conapred) released a viral video demonstrating how Mexican society has led kids to adopt prejudiced attitudes from a very young age. The video showed an experiment in which Mexican children were placed before two dolls: one light skinned and the other dark skinned. Asked to identify which is “bad” or “ugly” they all pointed to the darker doll. Then asked which is “good,” “pretty” or “which they prefer” they all chose the lighter doll. The vast majority of the brown-skinned children even picked the lighter doll when asked which one they most closely resembled. While the increasingly cosmopolitan nature of cities like Guadalajara has led to changes in society, it is difficult to entirely eradicate entrenched prejudices, especially when Mexicans have been conditioned to look favorably on lighter-skinned people for centuries. The idea of an inferiority complex which leads Mexicans to favor foreign people or practices is known as “Malinchismo,” after La Malinche, the Indian women who betrayed her country to become Hernan Cortes’ mistress and interpreter during the conquest of Mexico.